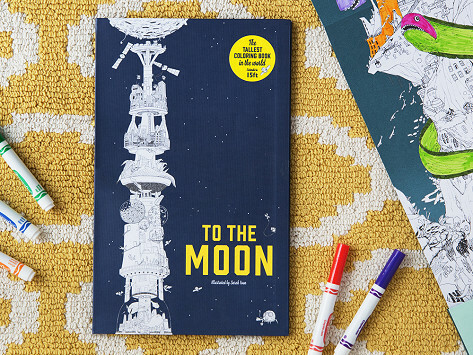 Whether you pick the moon or ocean coloring book, you’ll get a continuous 15-foot canvas. It’s a dream for coloring enthusiasts of all ages. Tackle a section at a time or make it a group endeavor—its accordion-like design is easy to open up or collapse. Dimensions: Closed: 14" x 8.75" x 0.25"; Open: 15' x 8.75" x 0.25"
Kept my granddaughter busy for a long time. 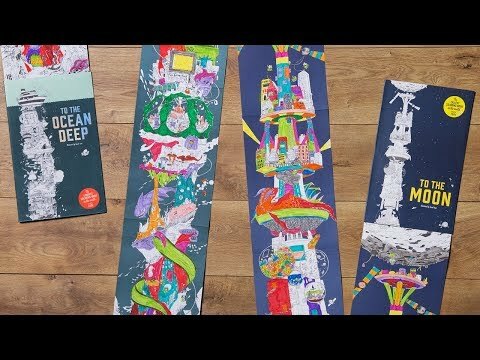 The Longest Coloring Book contains a continuous 15 feet of intricate drawings, taking you on towering journeys into outer space and diving down to the ocean floor. Every foot is unique. You’ll encounter all sorts of interesting sights and characters in your coloring trek. Embark on it alone, or unfold it and turn it into a whole-family affair. Its accordion design makes it easy to tackle a section at a time or spread it out and appreciate its full 15 feet. With such detailed drawings—and so many feet of them!—grownups and kids can get lost in their coloring.